UPDATE: Due to inclement weather conditions, this event has been cancelled. To join our next cleanup next Saturday, January 26th, from 10 AM to 1 PM at Fletcher's Cove in Georgetown, please email Kyaira Ware at Ware@potomac.org to be added to the volunteer list. Potomac Conservancy and the National Park Service are joining forces to honor the legacy of Dr. Martin Luther King Jr.! Join us in collecting trash and removing invasive species from one of our favorite local spots- LBJ Grove! Thank you to our sponsor, MOM’s Organic Market! 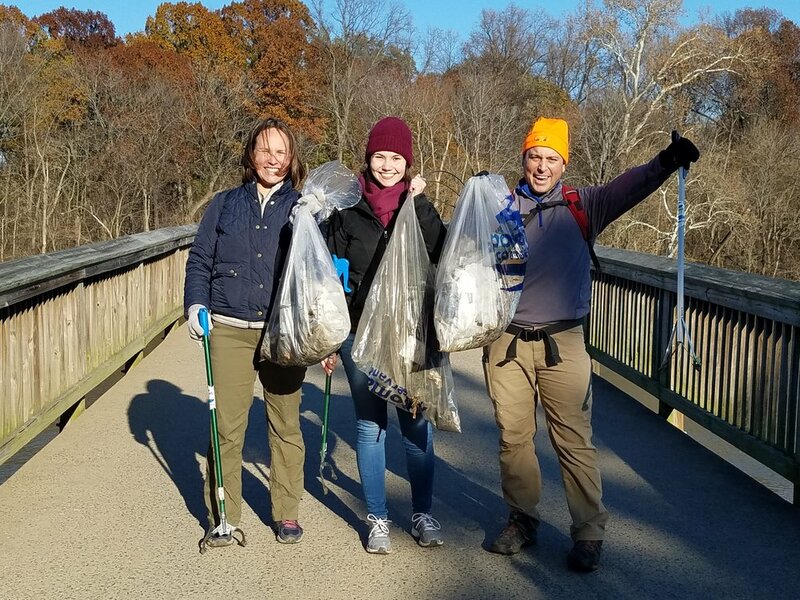 Potomac Fall Trash Cleanup: Fletcher's Cove!